Radisson Hotel Group has signed six new hotels in Egypt as part of a portfolio deal across a number of its brands. The six hotels: Radisson Collection Hotel Cairo Heliopolis, Radisson Blu Serviced Apartments Cairo Heliopolis, Radisson Blu Hotel Cairo Golf City, Radisson Hotel New Cairo, Radisson Hotel & Resort Ain Sokhna and Radisson Blu Hotel & Resort Makadi Bay, Hurghada mean that the group becomes one of the largest international operators in the country and will also cement Radisson Blu’s position as the leading brand in the city in the coming years. Elie Younes, executive vice president and chief development officer, Radisson Hotel Group, said: “It is great to expand our footprint in Egypt with six new hotels. Egypt has historically been one of the most visited countries in North Africa and we strongly believe in its tourism industry in the long run. These hotels will make a great contribution to the local employment and we thank our partner Zaghloul Holdings for their continued trust and for their contribution towards promoting tourism in the country. We are further pleased to introduce two new brands to Egypt, Radisson Collection, positioned as the premium lifestyle and affordable luxury brand and Radisson as an upscale hotel brand." 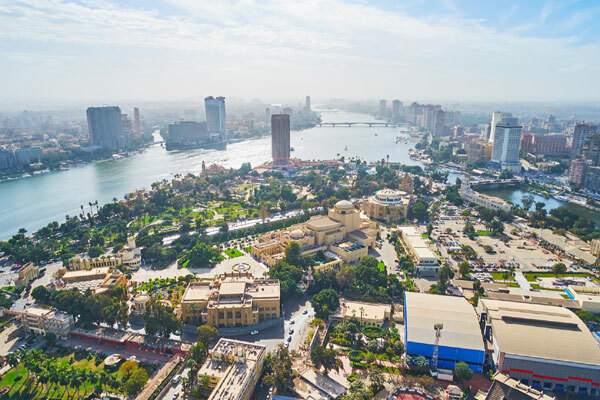 Set to become the first Radisson Collection hotel in Egypt, the hotel will be part of a new mixed-use development that includes a shopping mall and offices. Located within the affluent Heliopolis district of Cairo, the hotel will be situated just 1km away from Cairo International Airport, the second busiest airport in Africa. The new hotel will feature 425 rooms and luxurious suites and four food and drink outlets. The meeting and events space will cover 2,000-sq-m and includes two ballrooms. While the leisure facilities will include a modern well-equipped gym and indoor and outdoor pools. Situated in the same mixed-use development as the Radisson Collection Hotel Cairo Heliopolis, the serviced apartments will complement the hotel with 163 upper upscale apartments featuring one and two-bedroom and luxurious apartments. The serviced apartments will feature 400-sq-m of meeting rooms space and will include an outdoor pool. The Heliopolis district has a number of modern restaurants, cafes and other leisure facilities, and is home to Egypt’s three largest shopping malls. Radisson Blu Hotel Cairo Golf City continues the Group’s strategic expansion into the north of Cairo with the development of an “urban resort” located 10km from Cairo International Airport. Situated within Obour City, the hotel will be in a prominent commercial district that includes the offices and factories of a number of pharmaceutical companies and an industrial park conveniently situated next to the hotel. Golf City offers a well-established residential community and the hotel will be located in the centre of the neighbourhood next to the golf course. The hotel will feature 255 rooms, a gym and dining options including two international restaurants and a tea lounge. The meeting room space will cover 220-sq-m.
Radisson Blu Hotel & Resort Makadi Bay, Hurghada is set to become an impressive resort in one of Egypt’s main tourism centres on the Red Sea coast. The resort will feature 670 rooms and will offer direct beach access. There will be several food and drink outlets including three international restaurants, a beach restaurant and a nightclub. The resort will feature four swimming pools and a fitness centre. The meeting and events space will feature six meeting rooms. The hotel will be located 25km south from Hurghada city centre, along the Red Coast Sea, while Hurghada International Airport (HRG) is also 25km away.